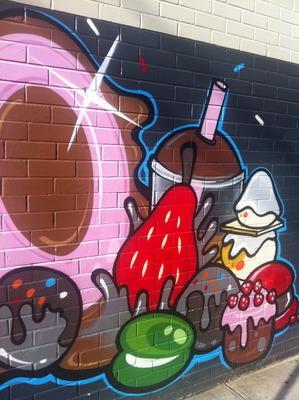 Rozelle is a chic, trendy and cosmopolitan inner western suburb of Sydney. 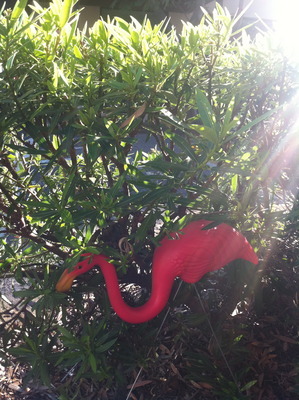 The name Rozelle refers to the Rosella. A lower key version of nearby Balmain, Rozelle has given itself a name as one of the organic food hubs of Sydney, and within good reason as well. There is so much to appreciate in this area, which is only a short 10-minute bus ride from the city. A favourite for many inner western residents that love to exercise. This 7km trail enables the best of both worlds; whether you wish to run or walk - either way that is fine. 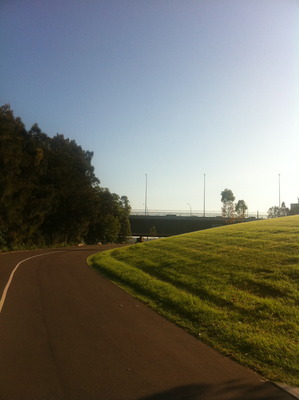 Provides a great, feel good workout with excellent vantage points of the waterfront with parks and gardens in between. Needs to be tested out at least once to be appreciated. Naturally the bay run is quite popular on weekends and public holidays. It was a little upsetting to see the childen's play area (it could be an emotional reason on my end, an area where I grew up playing when I was a child) turn into a construction site (and thankfully it was only temporary) because of the formation of the second iron cove bridge. However the analogy that "good things happen to those who wait" has proven to be true, as Constellation Station is now complete. It is a great children's play area, with a special space to host those BBQ park based children's birthday parties. King George Park continues to be a great bay run hot spot, plus it is home to athletics (with a great long jump pit) and soccer. 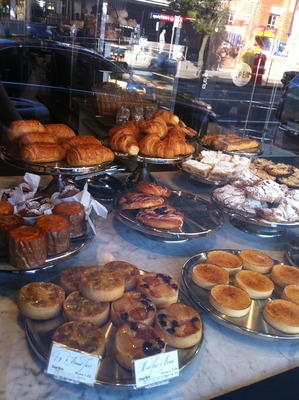 Rozelle is also home to fantastic coffee. Expect quality and well roasted coffee with beautiful aromas and crema from Rosebud and Bar Lazio. 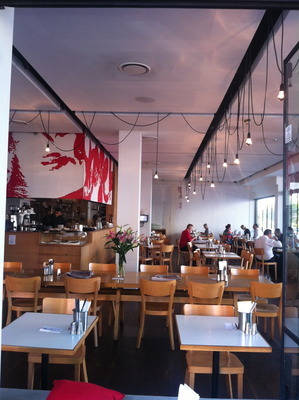 Rosebud is also a great hang out spot for brunches, and naturally would be popular for many locals on the weekends and on public holidays. Their organic eggs with sourdough bread is a winner. 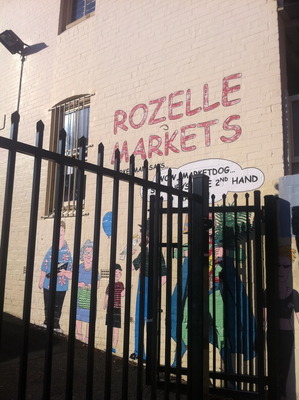 Rozelle is regarded as a fine organic foods based area, and About Life is a great place to buy your weekly groceries and also to have a bite to eat. Many free range, non-genetically modified and organic food and produce is for sale at this establishment. 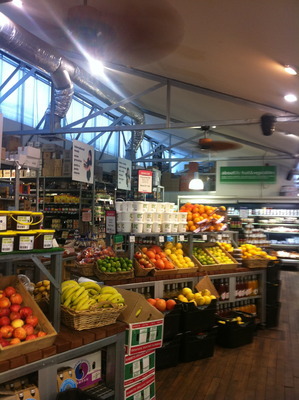 The moment you step foot into this establishment, you will be surprised with the range of healthy foods available. No more excuses not to eat healthy food on the run. This popular "weekly event" is a hot spot for second hand and white elephant goods. Always crowded and quite popular despite being around for quite a while. Psychic readings are also available and quality take away food is also enjoyed. In inclement weather, the markets are held in the school hall at Rozelle Public School. Further information on the markets can be found by clicking here. 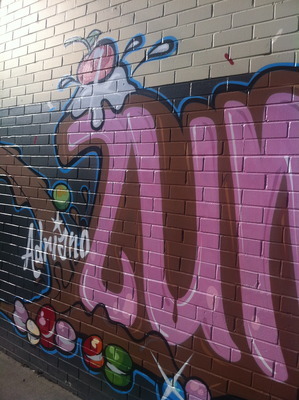 Just like nearby Annandale, Rozelle has been able to keep a strong laid back village presence with great places to unwind and go shopping along Darling Street. Think of establishments such as Potteround (for quality flowers) and you will know where I am coming from. This respected dessert chef has a tiny cafe at Terry Street, and this is also where his "lab" is located. His sweet treats are cooked here, and cooking classes are also available. 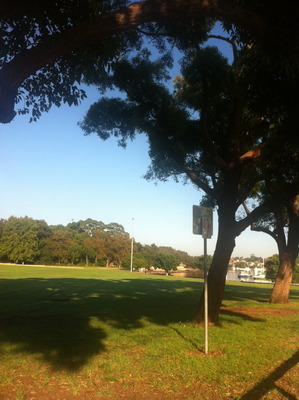 Enjoy the best that Rozelle has to offer.